OK, so I recently played a couple of xmas carols that someone had transposed for shakuhachi a few years back. They were public domain pieces which David Stone, I think, put Kinko notes to. I am unashamed to say, I really enjoyed playing some tunes that I actually was familiar with and felt it a pleasant break from my endless practice of traditional shakuhachi pieces. I would really like to have a few more non traditional pieces to play every now and then as a change up from what I usually play on the flute. And I'd be happy to pay for the sheet music however I am having difficulty finding a source of non traditional music for the shakuhachi. Ah, ha, maybe you will laugh to yourself and say, "Oh yeah, that's because there isn't any!". Well if that's the case then I can deal with it but in the meantime I thought I'd just take a chance an make this blasphemous request here. For starters: you are aware, of course, of Bruce Hunter's trove, ain'tcha? Might be some pieces there with which you're familiar. have, plus Gounod's 'Ave Maria', all in Kinko notation. I don't think anyone has to convert to Zen to enjoy playing the shakuhachi. No shame there, IMO. Carl Abbot has a book called "Blowing West" with a bunch. I think you can get it from Monty. I've got it. It's almost all pretty heavy duty classical pieces. I don't recommend it, unless you are familiar with that canon. "How to Play the Shakuhachi" by Yoshinobu Taniguchi has some Xmas carols, some American folk songs, and a bunch of songs by Stephen Foster. Carl Abbott's "Blowing Zen" has some of the same kind of stuff. Yooper, dig the avatar, what does it mean? "Living close to Wisconsin"? It's from Halloween last year. My 5yo son was Samurai Jack and I was Aku. Homemade costumes that both turned out great. I put up the avatar during the discussion of anime. hi Airin. it will help in long run to learn to read western notation. Or you can probably just figure out some of them by ear, if they're in the right key. to play by ear is awesome too! I'm sure it would help but I've never learned. So by ear is cool too, as Geni says. Geni, you got a facelift? P.S. "God Rest Ye Merry Gentlemen" is a good carol for shakuhachi; find a hymnal and you can transpose the music to Kinko notation. Hi Erin. I have several scores up on this page: http://www.shakuhachizen.com/world.html. There are more on the Celtic Honkyoku page link on the bottom of the page. I have several scores I have typed up recently and which I will put up over the Xmas. 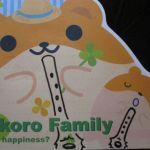 I have not read here to see if this has been added, but I've been looking for scores of traditional and contemporary tunes for both Shakuhachi and Native American flute, both having 5 holes. I found a site with hundreds of songs scores for NAF and most have a check-off for 5 hole flutes. I think that these can be adapted for Shakuhachi since both use 5 holes. I'm using these for my NAF but I think they will work with Shakuhachi as well. This is a land-mine of printable music scores, IMO. Some of these require a membership such as Yahoo. Look for the hassle free scores.